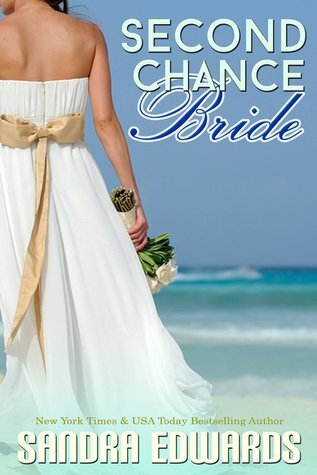 I was kindly gifted an ARC of Second Chance Bride by Indie Sage PR. Second Chance Bride tells the story of Genie who gets jilted at the altar and heads to Hawaii for the week of her honeymoon alone. When she gets there she eventually meets Donnie through his meddling mother. They quickly realise they share a mutual attraction but Genie doesn't know how she can move and relocate her life/business and Donnie wants to know her before he tells her the truth, that he owns the hotel she is staying at. SCB is a great, quick and fun read based around Genie meeting Donnie who owns the hotel and their meeting and getting to know each other. As the story moves along we get to see more of them together and it's so sweet and fun to read. I loved the characters in this book, they all bring their own fun to the storyline and I love Donnie's mother! Her meddling is so entertaining! I loved reading scenes with his mother because as infuriating as Donnie finds her she is great fun to read and get to know! If you're looking for a fun, fluffy holiday read then I would definitely recommend you chose Second Chance Bride!